The Wilder Home Association has carefully overseen the addition of a vegetable garden for the last few years which honors Laura’s passion and legacy of gardening and depicts a 19th century home garden. We would like to share a special “Thank You” to the Baker Creek Heirloom Seed Company. For the past few years, they have graciously donated their time, talents and the seeds necessary to produce a garden that is truly representative of the time when the Wilders occupied Rocky Ridge Farm. 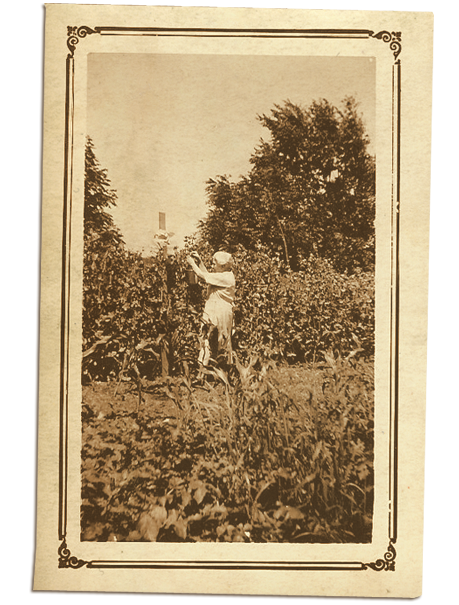 Baker Creek, also located in Mansfield, Missouri, carries one of the largest selections of seeds from the 19th century, including many Asian and European varieties. The company has become a tool to promote and preserve our agricultural and culinary heritage. Their company and seeds have been featured in The New York Times, The Associated Press, Oprah Magazine, Martha Stewart, and many others. Make sure to plan to visit them as well when you are here with us in Mansfield!